The Holga is a medium format 120 film camera that originated in Hong Kong in 1981. Light, plastic and cheap, the Holga is ultimately a toy camera that produces images with a romantic, retro aesthetic. Holga photography is often a result of playful will and luck. I found it a perfect device to take around the farm, through muddy puddles and hay filled barns. 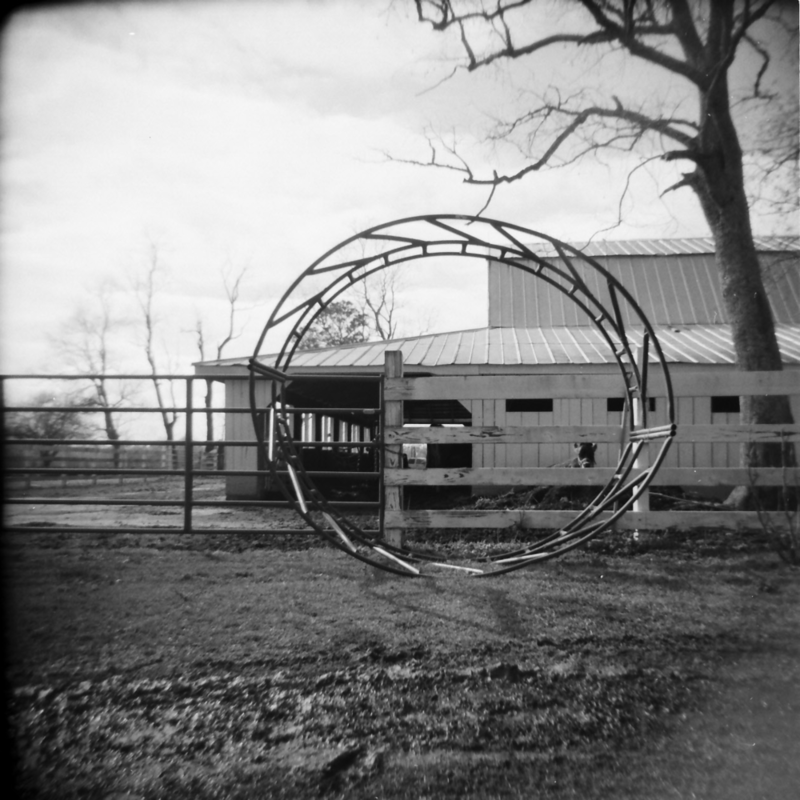 During my first few runs with my Holga, I did a series on some of the cows on Berry Hill Farm. Quiet, slow and curious creatures, they made for a great subject to study through the Holga lens. For prints, contact me at brjavadi@gmail.com. I print the images on semi-gloss satin paper and will accept requests for matting and custom, hand crafted framing. Pricing will depend on dimensions and any additional presentation crafts desired.